Lubrizol will introduce its custom-designed Multi-Tech Commuter (MTC) jacket prototypes at IDTechEx which is to be held during November 14-15, 2018 in Santa Clara, CA. Designed for stylish and functional street-to-office wearability, the MTC jacket features Lubrizol materials that ensure function, comfort and durability over the life of the garment. The MTC jacket demonstrates the value of integrating solutions from Lubrizol’s broad range of technologies. Engineered for comfortable motion and mobility, stretch denim and polyester fabrics move and breathe with the wearer. A flexible circuit heating element across the inside of the jacket's back provides warmth on demand, perfect for environments with large temperature swings or for comfortable dashes from commute-to-indoors - without the bulk of additional clothing layers. Fabric treatment at the elbows and palms enhances garment durability, while stretch-restrictive coating printed over the electrically conductive traces protects the circuits in-use and during laundering. IDTechEx brings new in emerging technologies covering 3D printing, electric vehicles, energy storage, graphene, Internet of Things, printed electronics, Sensors and wearable technology. Following the theme of the event, Lubrizol will be "Connecting Emerging Technologies with Global Brands" by showcasing innovative technologies from its Engineered Polymers and Performance Coatings businesses. These technologies are especially well suited for electronics including flexible hybrid electronics, wearables, mobile devices and accessories, and 3D printing. 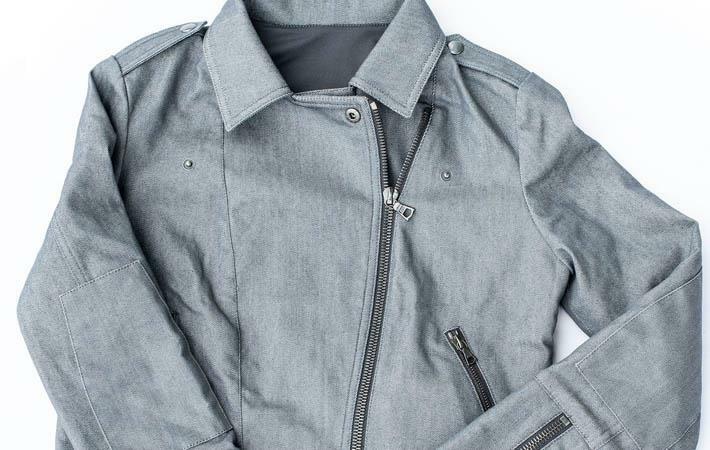 The technology behind Lubrizol's Multi-Tech Commuter jacket's performance includes stretchable, flexible printed circuits with high performance Estane Thermoplastic Polyurethane (TPU) Films and Flexible Ink Additives, comfortable stretch denim fabric and inner liner enhanced by X4zol-J TPU fibres, electronic connector housing, 3D printed using Estane TPU for stretch and impact resistance, conductive trace protection through Performax conductive ink coatings, and superior durability and wear resistance through Performax fabric treatment coatings.